I cracked an invite to go along to the 2013 EE BAFTAs Red Carpet arrivals to see the stars make their way up the red carpet and into The Royal Opera House for the EE BAFTAs Awards Show. It rained it snowed and it was freezing but none of that could take anything away from the stunning glitz and glamour of the evening. Below are some behind the scenes photos I took during the lulls. About halfway down you can view a slideshow of the entire set of photos from the arrivals. 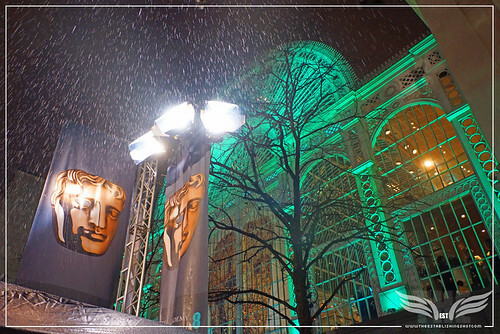 The Establishing Shot: EE BAFTAs RED CARPET BEHIND THE SCENES, a photo by Craig Grobler on Flickr. Early on Film Critic and BAFTA Judge Mark Kermode popped by for a chat. 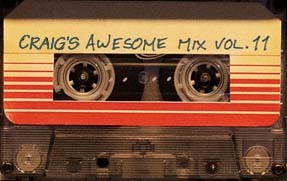 Followed by Composer David Arnold. 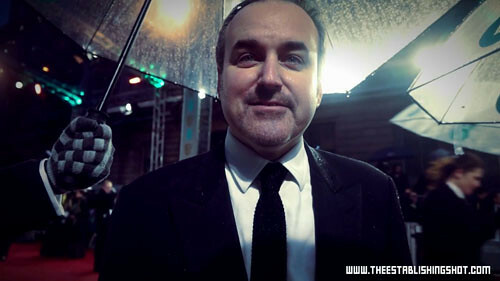 Our chat with David Arnold can be found here! 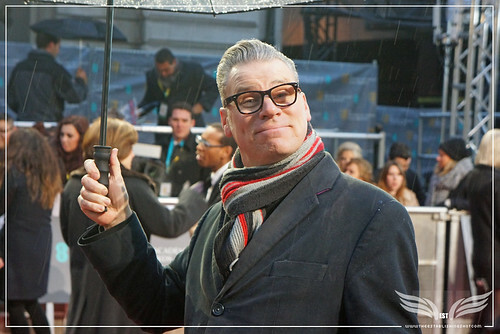 The Establishing Shot: EE BAFTAs RED CARPET MARK KERMODE STOPS FOR A CHAT, a photo by Craig Grobler on Flickr. The Establishing Shot: EE BAFTAs RED CARPET COMPOSER DAVID ARNOLD STOPS FOR A CHAT, a photo by Craig Grobler on Flickr. Then Presenter Stephen Fry and Palamo Faith both arrived. 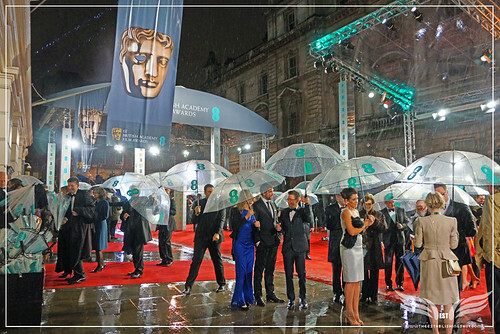 The Establishing Shot: EE BAFTAs PRESENTER STEPHEN FRY ARRIVES & GIVES US A SHOUTOUT, a photo by Craig Grobler on Flickr. 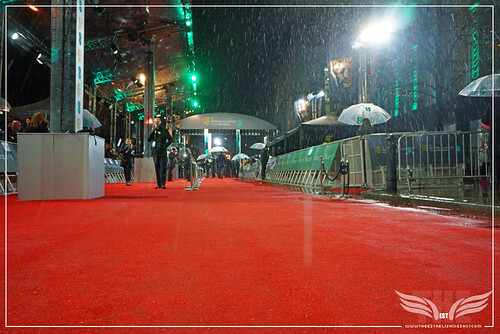 The Establishing Shot: EE BAFTAs RED CARPET PALOMA FAITH ARRIVES, a photo by Craig Grobler on Flickr. Below Laura Whitmore interviews EE Rising Star Award nominee Juno Temple for the EE BAFTAs 360° Red Carpet Show. 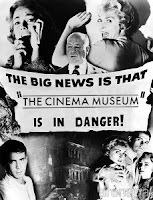 Which can be be viewed below. The Establishing Shot: EE BAFTAs RED CARPET EE RISING STAR WINNER JUNO TEMPLE INTERVIEWED BY LAURA WHITMORE FOR THE EE BAFTAS 360° RED CARPET SHOW, a photo by Craig Grobler on Flickr. A tender moment when Walking Dead's The Governor David Morrissey gave EE BAFTA nominee for Outstanding Debut Award Dexter Fletcher a heart felt hug on the carpet. 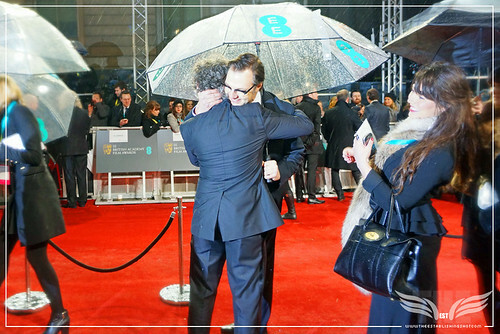 The Establishing Shot: EE BAFTAs RED CARPET NOMINEE DEXTER FLETCHER & DAVID MORRISSEY HUG, a photo by Craig Grobler on Flickr. The Establishing Shot: EE BAFTAs RED CARPET ALICE EVE, a photo by Craig Grobler on Flickr. The Establishing Shot: EE BAFTAs RED CARPET ALICE EVE POSES FOR PHOTOGRAPHERS, a photo by Craig Grobler on Flickr. George Clooney came down the carpet and gave everyone a shake we ponded fists before he headed for BAFTA photo session. 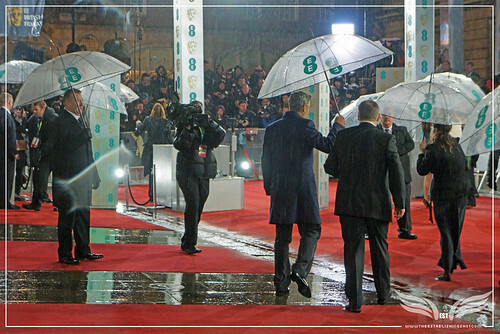 The Establishing Shot: EE BAFTAs RED CARPET GEORGE CLOONEY WALKS OFF AFTER POUNDING FISTS, a photo by Craig Grobler on Flickr. The Establishing Shot: EE BAFTAs RED CARPET POWERHOUSE PRODUCER HARVEY WEINSTEIN IN THE FOYER, a photo by Craig Grobler on Flickr. 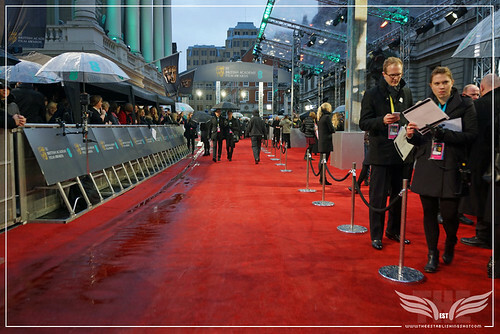 The Establishing Shot: EE BAFTAs RED CARPET GINA CARANO & HENRY CAVILL ARRIVE, a photo by Craig Grobler on Flickr. The Establishing Shot: EE BAFTAs RED CARPET JENNIFER LAWRENCE ARRIVES, a photo by Craig Grobler on Flickr. The Establishing Shot: EE BAFTAs RED CARPET ALWAYS CLASSY JESSICA CHASTAIN GIVES US A SMILE, a photo by Craig Grobler on Flickr. 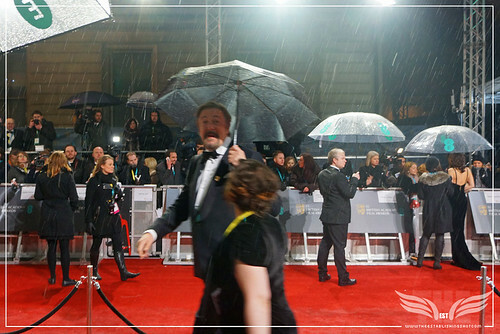 The Establishing Shot: EE BAFTAs RED CARPET JEREMY RENNER SPINNING PENS HAWKEYE STYLE, a photo by Craig Grobler on Flickr. The Establishing Shot: EE BAFTAs RED CARPET QUENTIN TARANTINO ARRIVES, a photo by Craig Grobler on Flickr. 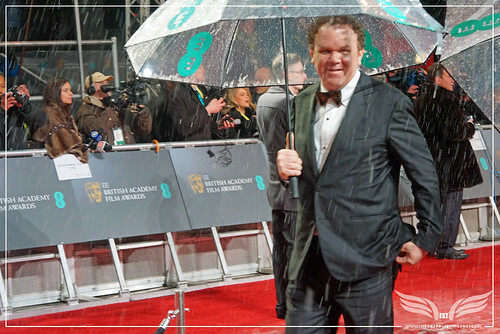 The Establishing Shot: EE BAFTAs RED CARPET JOHN C. REILLY ARRIVES, a photo by Craig Grobler on Flickr. 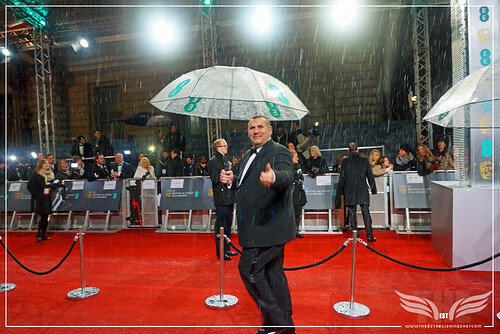 The Establishing Shot: EE BAFTAs RED CARPET PRODUCER GRAHAM KING GIVES US A THUMBS UP, a photo by Craig Grobler on Flickr. 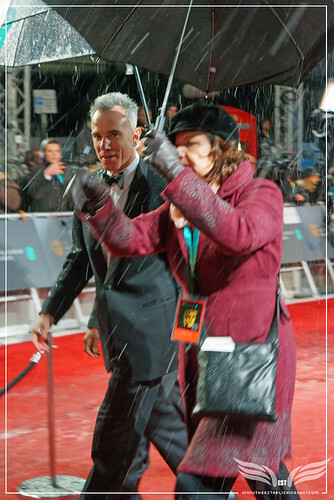 The Establishing Shot: EE BAFTAs RED CARPET DANIEL DAY-LEWIS ARRIVES LINCOLN, a photo by Craig Grobler on Flickr. Sadly Matthias Schoenaerts's performance in Rust and Bone was ignored by the Academy for either his acting as well as debut talent performance but he came along to show support for co-star Marion Cotillard. Another outstanding performance from Schoenaerts can be seen in Bullhead in cinemas in the UK. 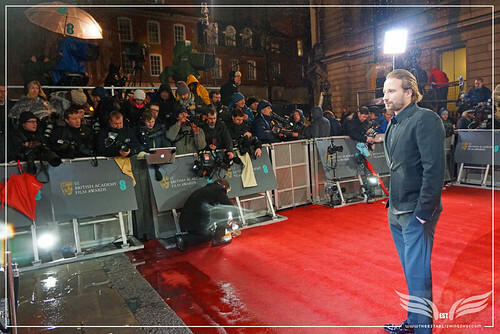 The Establishing Shot: EE BAFTAs RED CARPET MATTHIAS SCHOENAERTS ARRIVES RUST AND BONE BULLHEAD, a photo by Craig Grobler on Flickr. The Establishing Shot: EE BAFTAs RED CARPET MATTHIAS SCHOENAERTS RUST AND BONE BULLHEAD, a photo by Craig Grobler on Flickr.